Published on October 7, 2015 in Uncategorized. Closed Tags: 2015, afghan, greece, iraqi, Lesbos, lesvos, Moria, refugees, registration, syrian. Greek Prime Minister Alexis Tsipras visited Lesbos island on October 6, accompanied by Austrian chancellor Werner Feymann, to ostensibly appraise the refugee crisis on the islands firsthand, but what they saw there did not correspond to the everyday reality as thousands of refugees had left in four unscheduled extra ferries beforehand, the port had been cleaned, bus transportation of refugees from the north of the island to the camps had been halted, suddenly no boats were crossing the sea border just for the time during the short visit and his visit in Moria camp was focused on an inspection of the almost empty First Reception Centre, while in the meanwhile a few meters further inside the fenced territory at the pre-removal detention centre where registration takes place the desperate crowds were repressed by riot police with tear gas and severe beatings. Published on July 22, 2015 in Uncategorized. Closed Tags: 2015, call for solidarity, chios, donations, homeless, Kos, lesvos, new arrivals, refugees, samos. 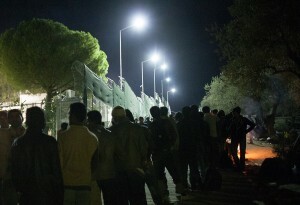 UNHCR estimates that currently 1,000 refugees reach daily Greece. Most of them arrive on the islands of the Aegean, at the sea border to neighbouring Turkey. Lesvos, Chios, Kos, Samos, Leros only to name some of the islands with high numbers of newcomers face a humanitarian crisis that cannot and shouldn’t be dealt with solely by the Greek government. European solidarity is needed. Despite the current political and economic crisis nowadays solidarity has emerged mainly from the civil society with local people together with tourists trying to support where needed. Yet there are hundreds if not thousands of refugees spending days and weeks under devastating conditions in provisory tent camps, detention centres or on the streets exposed to the weather and unprotected. There is no sanitary infrastructure that can suffice the real needs. Hygiene is getting more and more a serious issue leaving many persons with skin diseases or infections i.e. of the stomach. 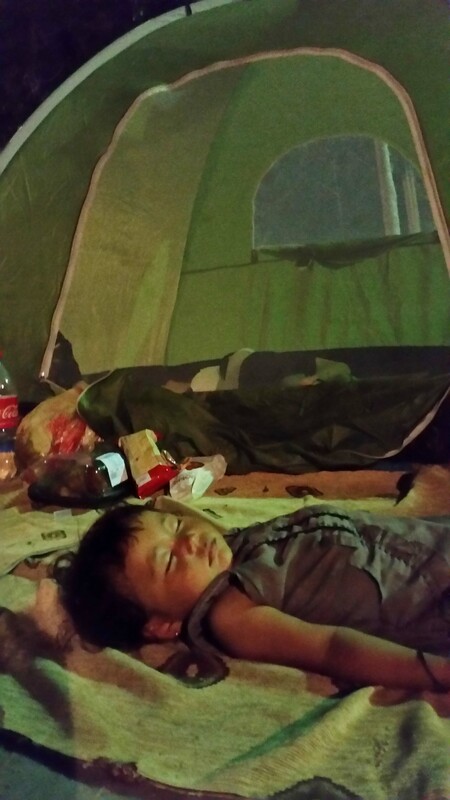 There is not enough food, clothes, hygiene products, medicine, cleaning products, tents etc. Everything is needed. Also in the main urban centers such as Athens, Thessaloniki and Patras as well as in border regions such as Eidoumeni / Kilkis in the North refugees are concentrating while in transit for days if not longer. They stay often homeless in public squares and parks or simply on the streets, fields or forests. Their situation is getting more and more critical every day. –	Money donations, so that needed products (specifically fresh ones like food) can be bought in Greece for refugees. We want to support the Greek economy too, which has been exhausted by European austerity measures. –	Any support in men force is wanted too if self-organised, self-financed and independent. Please contact local NGOs or solidarity groups if you plan to come for help. For sending any other donations contact us, tell us what you want to send / bring and we will discuss where it makes more sense to address the donations as situations change over time locally. Published on April 13, 2013 in Uncategorized. Closed Tags: extradition, greece, refugees, turkey. ATHENS, Apr 13 2013 (IPS) – Zeki Gorbuz, a Turkish asylum seeker in Greece, who was arrested on Feb. 12, remains detained today due to an international warrant that was transmitted by Turkish authorities to Greece just one day before his asylum interview. Turkish media were quick to report the arrest, describing Gorbuz as a radical leftist and regional leader of the Marxist Leninist Communist Party (MLCP), which has been designated as a terrorist organisation by the Turkish government. On the same day that Gorbuz was detained, Bulent Aytunc Comert, who arrived in Greece as an asylum seeker in 2002, was also arrested. His request for asylum was approved in 2003 but was never cleared by the ministry of police. Branded by Turkish authorities as a member of the Revolutionary People’s Liberation Party-Front (DHKP-C), Comert is a fugitive. He was imprisoned in the notorious solitary confinement units known as the “White Cells” on what he says was a fabricated murder charge.